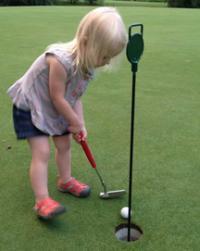 Byron's putter head milling is outsourced. He then receives them (roughly milled) and then he starts his work to soften edges by hand in his shop on his sanding belt, hand stamps them, torches or finishes them to the customer spec, then shafts them up, does the loft/lie, grips, paintfill and then ships them. At least you know Byron himself is the person holding that putter to the sanding belt when he's putting that Tai treatment on that head. 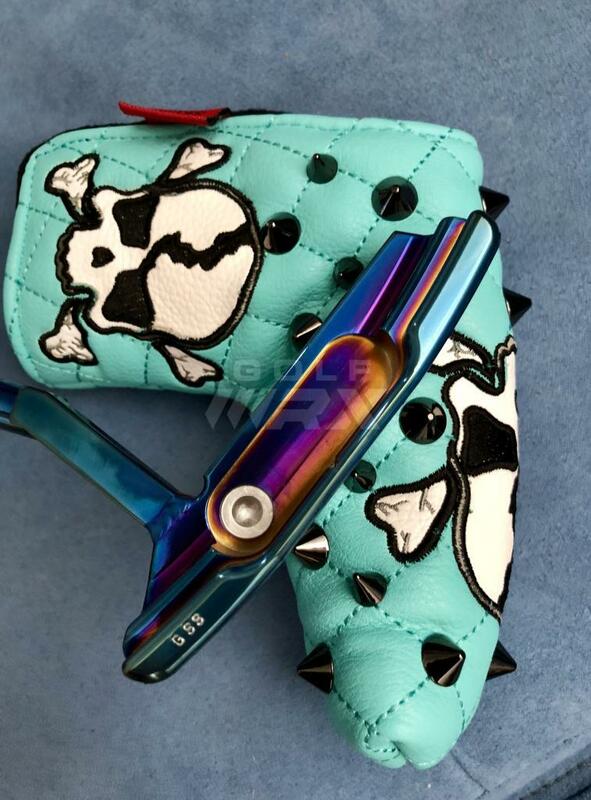 The mill design though is IP to the putter designer, so it's not like he just gets heads from some place in China and gets whatever they ship him. Just makes sense. Does anyone on here actually think it matters the location of the CNC milling machine or who "owns it"? These are big heavy machines that are a big capital investment that would require serious volume to justify the cost each month. Even tour putters are CNC milled on a machine programmed to cut out a 009 or Trisole NP2 or Timeless or Tour Rat shape (using Scotty as an example). If given the plans, any CNC milling machine could cut the same exact shape. Why does anyone on here think these are somehow magical? The steel is the same, the milling happens the same way, it's only after these steps (assuming a good head shape), that the putter maker adds their value in either finishing them to either a rough (cheap) or easy (think Odyssey), or fine finish (like Scotty or micro-putter makers) with perfectly brushed finishes (like a Rolex Submariner), incredible transparent paintfill, nice engraving (or in the case of tour putters hand stamping). There are some truly "tour only" heads that Scotty makes - like 009, Timeless, NP2 trisole (used to make a retail version). 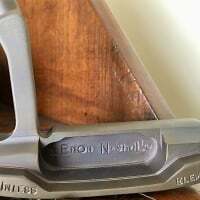 However, many of the tour putters are just a stock head with less milled engravings (leaving them blank for hand stamping) ... then someone finishes them by hand, shapes them at the belt by hand, stamps them (hammer striking a stamp several times to get the correct depth and mushrooming) including the highly desirable circle T, does the paint fill, and then shafts them up, bends for loft/lie, installs a grip (sometimes with circle T) and puts a putter cover on with circle t stitching. The above reasons is why I got out of tour putters years ago and have just stuck with high quality putters like Studio Stainless or Mil-Spec, and invest in a good grip and my alma mater headcover. Putts just as good. 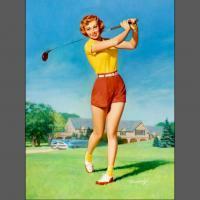 Yes, you won't get an "ooh aah" from the bag boy at the end of the round when wiping your clubs, but who cares. Fully agree on circle T. They never appealed to me much for many reasons you cited. To each his own of course. On the cnc milling.. also agree on comment about irrelevance of where the machine is located. However, for ME, I'd like a maker to have his own design in place and have the milling house wherever that is to mill according to his design and specs. This as opposed to getting a blank anser style head as an example, and just rounding off the edges, paint fill, loft lie, shaft and grip etc. For me, this goes to the maker's design integrity and what i define as true custom. Again, to each his own. I thought this was common knowledge. I guess not. I certainly was aware of it when I ordered my DH89 and was obviously fine with it. I agree with others that it doesn’t matter where a head is milled when it’s done on a CNC. It’s the final hand finishing, design, etc that we’re paying for when going “custom”. Just curious, while we’re on this topic, what about TP Mills? They have less of a CNC feel than many others but are they also CNCd out of house? Anybody know? I've read him post before on PT that he was getting new heads in or was waiting on heads to come in, so it's no secret that he's trying to hide. In a perfect world I would rather have the company I'm buying from control the whole process but it really isn't feasible. It's kind of like Ford making every part for one of their trucks. At the same time it seems like equipment enthusiasts covet clubs that are made by big name manufacturers even if they aren't the OEM i.e. Endo Forged Nikes or Miura Taylormades. I knew when I ordered that Byron received rough heads from the milling shop and everything else on my order was done in-house. For me that was fine, others may not see it the same way. There are very few makers who maintain 100% control of all of their product, and this produces some advantages and disadvantages, all to be debated by both sides. Let the finished product speak for itself. I've bought several putters from David over the last few years. The first time, I was looking for a specific head and he told me he was going to be cutting a new batch soon. I didn't ask what he meant by that, and I still don't know for sure. The second round I was looking for a Heritage model and he told me that head was no longer available. To me that meant he bought a batch of raw heads from another source and finished them however people wanted, but that whoever he was getting them from now no longer produces that general head design. I don't think it's possible to maintain 100% for any custom maker especially when finishing or plating like black ox and copper is involved. I stand corrected if wrong. He does. Cost effective? I think so. His Elements are run through a shop now unless you specify handmade, so he can do more custom sticks, which most people go for. Very few thing these days are 100% in house . Like your automobiles, parts were made from all over the world. Do the Mercedes owners of the baseline models really thinks they own a Mercedes Benz ? Do the owner of the diamond and golf jewelry bought it because it's 100% in house and hand crafted by the master himself ? One of the good friend and a metallurgist, designer , jeweler told me long time ago, one buys the piece to enjoy, not much for appreciation, and if one breaks even in 10 years then, all is good. Shocking news to us back then, when we thought the precious metal and gems were investment grade. 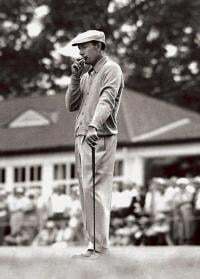 Putter is a tool , and the coins are in your pocket until you fork it over. I think you're right with the elements range. I'm not sure but I think the article is before the elements range when lump used to mill all his heads in his shack with a hand milling machine. His volume then was not high i don't think. So is Bettinardi the only truly "Mainstream" OEM who machines their own heads? I think the point bolded above is something that some folks here are missing. Byron designs the putter and the program to mill it. 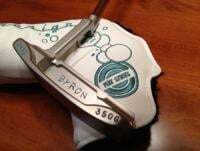 It doesn't matter to me who actually mills it as long as Byron does the design, shaping, custom neck, stamping, finishes (the in-house ones, some are obviously batched and outsourced), etc. At least with Byron, you know his hands were personally on the putter. After reading this thread, I’m inclined to think that we should pool some resources, find someone with a 009 and timeless, and make copies for anyone that is interested in spending a couple of hundred dollars. Sounds like we could get this CNC milling company in Chicago to make replicas fairly inexpensively. Who’s in? I know someone that did this in Korea. Np2 studio stainless design in his cnc. Imported German steel. Welded and finished. The result? Where does Germany import their stainless steel from? Yes, this might be an accurate statement. However, Bettinardi's primary business is milling parts for the defense industry. 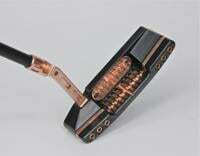 His CNCs were not purchased for making putters. At least not in the beginning. 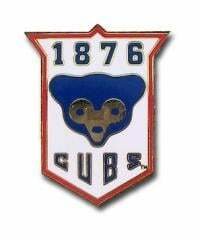 He had an extensive manufacturing shop before making putters. And that's imported from China. I remember someone once mentioned Byron’s CNC head is so rough, its edges are sharp. Then, there are lots of hand grounding by the man himself. 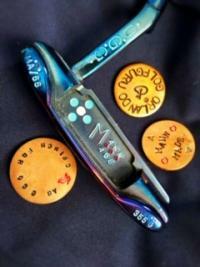 The new putter company out of Denver, Carbon Putters, seems to be very involved in their millings. They post photos where they use "stop options" in the milling to check tolerances. Haven't ever asked if they own the mill but having quality control agents present during production is encouraging. I've wondered recently how likely 3d printing and newer less expensive high axis CNC Mills will factor into the specialty putter market. interesting, I assumed they would mill their own putters. When I was up at Artisan getting fit for my putter it was cool to see the putters being milled. Interesting chatting to them about how long they take to make and the steps they take to making the putters. I love my Artisan putter was worth the money and effort for all involved.